BEIRUT (Reuters) – Faced with recent setbacks in Iraq and Syria, al Qaeda is slowly but firmly gaining influence in Lebanon, helped by the country’s increasing sectarian violence and the turmoil caused by Syria’s civil war, sources close to the group say. 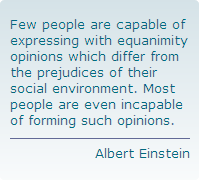 This entry was posted in Al-Qaeda, Lebanon, Syria, Terrorism, War & Conflicts and tagged Al Qaeda, Bashar al-Assad, Iraq, Lebanon, Levant, Sunni Islam, Syria, Tripoli. Saif al-Islam Gaddafi, held in a secret location by the men of Zintan who his family fought, must wonder if he will get a fair trial – and then execution. There are no books, and no television. More importantly perhaps, for a partygoer used to shooting weekends at country houses and birthday celebrations, there is no company. In an anonymous concrete house, in the back streets of the mountain stronghold of Zintan, Saif al-Islam Gaddafi sits alone, with no access yet to a lawyer, friends, or even the four men captured with him. “For sure, he is just sitting there, thinking about his fate,” Osama Jueili, the head of the Zintan Brigade and the man responsible for Saif al-Islam’s security, told The Sunday Telegraph. He does have 20 brigade men on permanent station to guard him. It is doubtful they have much in common with the man who pursued the bright lights of Europe in white tie and tails and once thought he was destined to rule over them. The capture of the late dictator’s son was a happy moment for Libya. A clean operation, it was performed without the bloodlust attendant on his father, Muammar, and brother, Mutassim. Yet unlike their deaths, Saif al-Islam’s fate will linger in the international consciousness for months as he is brought to trial and, most likely, convicted and hanged. Endless questions will be raised – not least by his own lawyers – about his character, his relationship to his father, and his close contacts with politicians and businessmen like Tony Blair, and fellow partygoers Peter Mandelson, Nathaniel Rothschild and Oleg Deripaska. 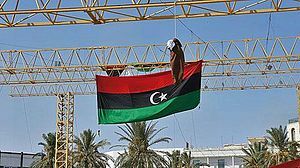 The process will be a test too of the stability of the new Libya, and of whether a country held in thrall to the whim of one man can unite to the difficult cause of building peaceful, prosperous institutions. This entry was posted in Africa, Islam, Reports, Security, War & Conflicts, World News and tagged Islam, Jueili, Libya, Saif, Saif al-Islam, Saif al-Islam Muammar Al-Gaddafi, Tripoli, Zintan. 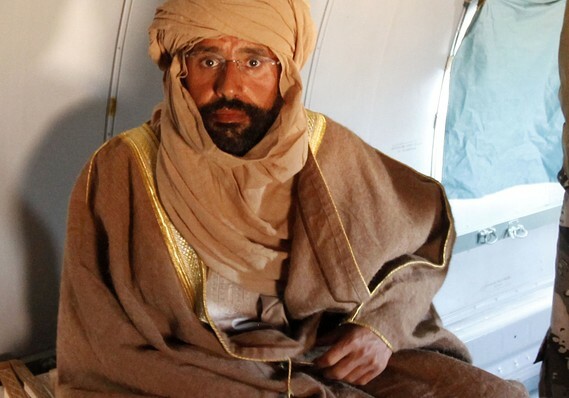 Saif al-Islam Gadhafi sits in an airplane in Zintan, LIbya, on Saturday after being captured in the southern desert and flown to the northern city. WASHINGTON (MarketWatch) – Moammar Gadhafi’s son has been captured in the desert by fighters who plan to hold him until there is a Libyan administration to which they can hand him over, according to media reports Saturday. 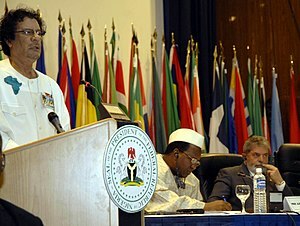 Gadhafi’s son, Saif al-Islam Gadhafi, 39, had been accused of crimes against humanity. Saif al-Islam was captured near the southern desert city of Obari and flown to the fighters’ base in Zintan, in northern Libya, the BBC reported. This entry was posted in Africa, Islam, Politics, Reports, Security, War & Conflicts, World News and tagged BBC, Hague, International Criminal Court, Islam, Libya, MarketWatch, Muammar al-Gaddafi, Tripoli. Tripoli – Libya‘s Zintan Brigade, formed by its cult leader who died in a fierce battle with Muammar Gaddafi’s forces, refuses to cede control of vital installations in Tripoli until the Libyan capital is safe. This entry was posted in Africa, Reports, Security, World News and tagged Brigade, Chad, Fighter aircraft, Libya, Misurata, Muammar al-Gaddafi, Salah, Tripoli. This entry was posted in Africa, Politics, Security, War & Conflicts, World News and tagged Bani Walid District, Burkina Faso, Libya, NATO, Niger, Tripoli, Tuareg people, Victoria Nuland.